what they wanted and needed was undefined. Anthology embarked on a one-year logo redesign process with NAWB leadership, which included gathering brand identity research from its leadership, the board of directors and membership. Research efforts included In-depth Interviews (IDIs), focus groups and surveys that provided NAWB leadership and its Board of Directors with stakeholder feedback and evidence to support an organizational brand change. Anthology used our design methodology to develop and test designs, fonts, colors, etc. 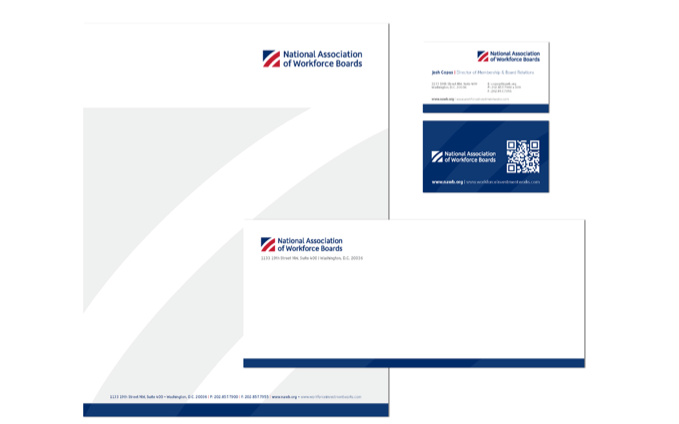 Through this process of iteration and feedback, we developed a logo that was represented the core ideals of NAWB. Anthology also worked to deliver a newly branded materials.